The Contemplation of Justice statue outside the U.S. Supreme Court. “Extreme childhood abuse” may be considered if the defendant shows that it led to psychological impairment with a “causal connection” to the crime. The image of women as caregivers is not the only stereotype academics see potentially at work in the sentencing disparity. 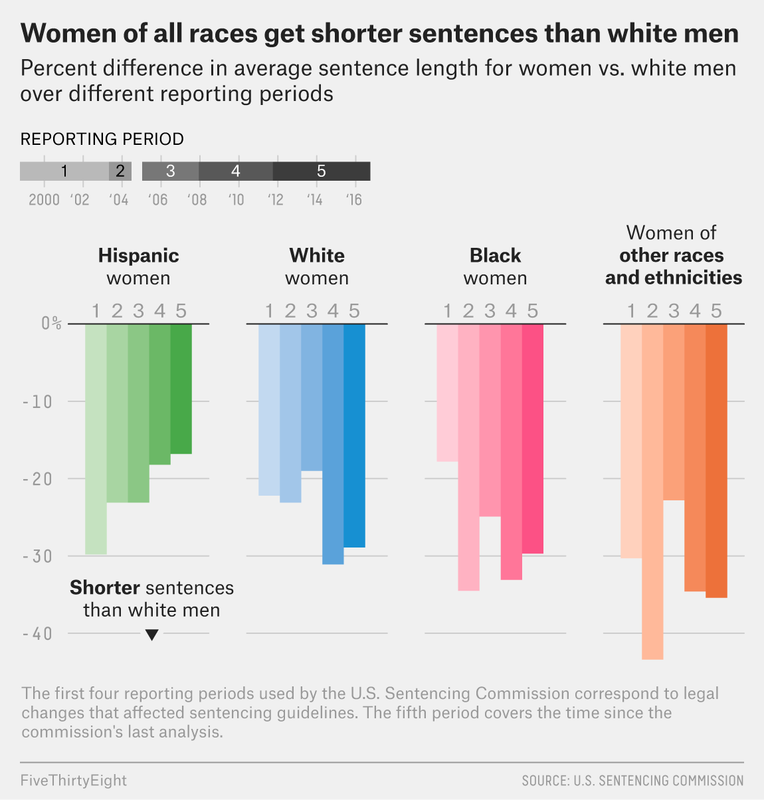 The University of Michigan study concluded that various forms of gender bias could be contributing to the 63 percent differential in sentencing for men and women. Male criminal justice officials may feel a sense of chivalry or paternalism toward women, according to the the study’s author, Sonja Starr, and they may be more open to arguments about bad influences leading to crime when they come from women. Prosecutors and judges may also think leniency with a woman will not set a precedent that will carry over to men, who are the vast majority of their defendants, Berman said.